If you have undisclosed foreign bank accounts and/or unreported foreign income and you are considering to enter into the Offshore Voluntary Disclosure Program (OVDP), beware that time is running out. 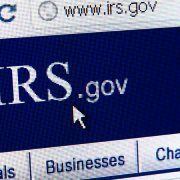 The IRS announced in March 2018 that it is officially closing this program September 28, 2018. 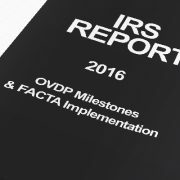 Since OVDP’s initial launch in 2009, more than 56,000 taxpayers have used the various terms of the program to comply voluntarily with U.S. tax laws. These taxpayers with undisclosed offshore accounts have paid a total of $11.1 billion in back taxes, interest and penalties. The number of taxpayer disclosures under the OVDP peaked in 2011, when about 18,000 people came forward. The number steadily declined through the years, falling to only 600 disclosures in 2017. The planned end of the current OVDP also reflects advances in third-party reporting and increased awareness of U.S. taxpayers of their offshore tax and reporting obligations. Since the announcement, the IRS has not received any public comments addressing a continued need for the OVDP. The IRS stated that it will still maintain a pathway for taxpayers who may have committed criminal acts to voluntarily disclose their past actions and come into compliance with the tax system. The IRS has yet to issue updated procedures on this. Separately, the IRS continues to combat offshore tax avoidance and evasion using whistleblower leads, civil examination and criminal prosecution. The implementation of the Foreign Account Tax Compliance Act (FATCA) and the ongoing efforts of the IRS and the Department of Justice to ensure compliance by those with U.S. tax obligations have enhanced the IRS’ ability to identity and charge non-compliant taxpayers undisclosed foreign financial assets. Since 2009, 1,545 taxpayers have been indicted related to international activities through the work of IRS Criminal Investigation. Additionally, the penalties for FBAR noncompliance are stiffer than the civil tax penalties ordinarily imposed for delinquent taxes. For non-willful violations, it is $10,000.00 per account per year going back as far as six years. For willful violations, the penalties for noncompliance which the government may impose include a fine of not more than $500,000 and imprisonment of not more than five years, for failure to file a report, supply information, and for filing a false or fraudulent report. We encourage taxpayers who are concerned about their undisclosed offshore accounts to come in voluntarily before learning that the U.S. is investigating the bank or banks where they hold accounts. By then, it will be too late to avoid the new higher penalties under the OVDP of 50% percent – nearly double the regular maximum rate of 27.5% and 10 times more than the 5% rate offered in the expanded streamlined procedures. Don’t let another deadline slip by. The IRS will not be keeping these special voluntary disclosure programs open indefinitely and once the IRS contacts you, you cannot get into any of these programs and would be subject to the maximum penalties (civil and criminal) under the tax law. Protect yourself from excessive fines and possible jail time. Let the tax attorneys of the Law Offices Of Jeffrey B. Kahn, P.C. located in Orange County (Irvine), San Francisco Bay Area (including San Jose and Walnut Creek) and elsewhere in California help ensure that you are in compliance with federal tax laws. 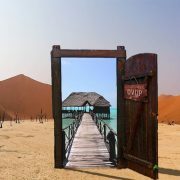 The Door Is Closing – IRS To End Offshore Voluntary Disclosure Program. Taxpayers with undisclosed foreign assets are urged to come forward before the Offshore Voluntary Disclosure Program (“OVDP”) closes September 28, 2018. OVDP enables U.S. taxpayers to voluntarily resolve past non-compliance related to unreported foreign financial assets and failure to file foreign information returns. Since OVDP’s initial launch in 2009, more than 56,000 taxpayers have come forward to avoid criminal prosecution and secure lesser penalties than what the law provides. The IRS reports that through OVDP, they have collected $11.1 billion in back taxes, interest and penalties. The number of taxpayer disclosures under the OVDP peaked in 2011, when about 18,000 people came forward. The number steadily declined through the years, falling to only 600 disclosures in 2017. This decrease is not surprising given that many people have already come forward to secure the benefits of OVDP seeing the success of the implementation of the Foreign Account Tax Compliance Act (“FATCA”) and the ongoing efforts of the IRS and the Department of Justice to ensure compliance by those with U.S. tax obligations with respect to undisclosed foreign financial assets and unreported foreign income. 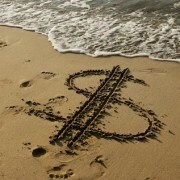 Stopping offshore tax noncompliance remains a top priority of the IRS. Don Fort, Chief, IRS Criminal Investigation stated that the IRS will continue ferreting out the identities of those with undisclosed foreign accounts with the use of information resources and increased data analytics. Since 2009, the IRS Criminal Investigation has indicted 1,545 taxpayers on criminal violations related to international activities, of which 671 taxpayers were indicted on international criminal tax violations. Where a taxpayer does not come forward into OVDP and has now been targeted by IRS for failing to file FBAR’s, the IRS may now assert FBAR penalties that could be either non-willful or willful. Both types have varying upper limits, but no floor. The first type is the non-willful FBAR penalty. The maximum non-willful FBAR penalty is $10,000. The second type is the willful FBAR penalty. The maximum willful FBAR penalty is the greater of (a) $100,000 or (b) 50% of the total balance of the foreign account. In addition the IRS can pursue criminal charges with the willful FBAR penalty. The law defines that any person who willfully attempts in any manner to evade or defeat any tax under the Internal Revenue Code or the payment thereof is, in addition to other penalties provided by law, guilty of a felony and, upon conviction thereof, can be fined not more than $100,000 ($500,000 in the case of a corporation), or imprisoned not more than five years, or both, together with the costs of prosecution (Code Sec. 7201). A separate program, the Streamlined Filing Compliance Procedures, for taxpayers who might not have been aware of their filing obligations, has helped about 65,000 additional taxpayers come into compliance. The Streamlined Filing Compliance Procedures will remain in place and available to eligible taxpayers. Additionally, eligible taxpayers can qualify for relief under the Delinquent FBAR Submission Procedures or Delinquent International Information Return Submission Procedures. Don’t let another deadline slip by! If you have never reported your foreign investments on your U.S. Tax Returns or even if you have already quietly disclosed you should seriously consider participating in the IRS’ 2014 Offshore Voluntary Disclosure Program (“OVDP”). Once the IRS contacts you, you cannot get into this program and would be subject to the maximum penalties (civil and criminal) under the tax law. Let the tax attorneys of the Law Offices Of Jeffrey B. Kahn, P.C. resolve your IRS tax problems, get you in compliance with your FBAR filing obligations, and minimize the chance of any criminal investigation or imposition of civil penalties. Tax problems are usually a serious matter and must be handled appropriately so it’s important to that you’ve hired the best lawyer for your particular situation. The tax attorneys at the Law Offices Of Jeffrey B. Kahn, P.C. located in Orange County (Irvine), the San Francisco Bay Area (including San Jose and Walnut Creek) and elsewhere in California are highly skilled in handling tax matters and can effectively represent at all levels with the IRS and State Tax Agencies including criminal tax investigations and attempted prosecutions, undisclosed foreign bank accounts and other foreign assets, and unreported foreign income. 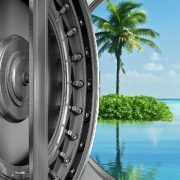 People who have undisclosed income in offshore accounts can — and frankly, should — take advantage of the IRS’s Offshore Voluntary Disclosure Program (OVDP). As the term suggests, the program allows taxpayers to voluntarily disclose all foreign accounts and fully clear their tax liability (including taxes owed, interest and penalties), instead of risk getting flagged in the future and paying much steeper price. 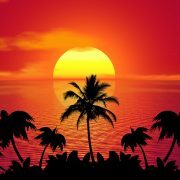 While the IRS treats each case individually, penalties for failing to report offshore accounts start at 50 percent of the balance. Furthermore, if there is suspected fraud or tax evasion, criminal prosecutions can commence. The IRS announced on October 21, 2016 that 55,800 taxpayers have come into the Offshore Voluntary Disclosure Program (OVDP) to resolve their tax obligations, paying more than $9.9 billion in taxes, interest and penalties since 2009. In addition, another 48,000 taxpayers have made use of separate streamlined procedures to correct prior non-willful omissions and meet their federal tax obligations, paying approximately $450 million in taxes, interest and penalties. What that means is that the IRS has collected a combined $10 billion with 100,000 taxpayers coming back into compliance. Furthermore, as the IRS continues to receive more information on foreign accounts, it will be more difficult for U.S. taxpayers to avoid detection and to maintain that they were non-willful in not complying with the U.S. tax laws. Under the Foreign Account Tax Compliance Act (FATCA) and the network of inter-governmental agreements (IGAs) between the U.S. and other countries, automatic third-party account reporting has entered its second year. Also, more information also continues to come to the IRS as a result of the Department of Justice’s Swiss Bank Program. As part of a series on non-prosecution agreements, the participating banks continue to provide information on potential non-compliance by U.S. taxpayers. OVDP offers taxpayers with undisclosed income from foreign financial accounts and assets an opportunity to get current with their tax returns and information reporting obligations. 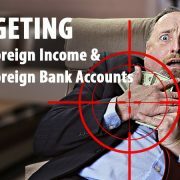 The program encourages taxpayers to voluntarily disclose foreign financial accounts and assets now rather than risk detection by the IRS at a later date and face more severe penalties and possible criminal prosecution. The IRS also developed the Streamlined Filing Compliance Procedures to accommodate taxpayers with non-willful compliance issues. Submissions have been made by taxpayers residing in the U.S. and from those residing in countries around the globe. The streamlined procedures have resulted in the submission of more than 96,000 delinquent and amended income tax returns from the 48,000 taxpayers using these procedures. A separate process exists for those taxpayers who have paid their income taxes but omitted certain other information returns, such as the Report of Foreign Bank and Financial Accounts (FBAR). Don’t let another deadline slip by. 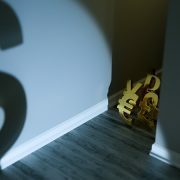 If you have never reported your foreign investments on your U.S. Tax Returns or even if you have already quietly disclosed or you are in the 2012 Offshore Voluntary Disclosure Initiative (“OVDI”), you should seriously consider participating in the IRS’s 2014 Offshore Voluntary Disclosure Program (“OVDP”). Once the IRS contacts you, you cannot get into this program and would be subject to the maximum penalties (civil and criminal) under the tax law. Taxpayers who hire an experienced tax attorney in Offshore Account Voluntary Disclosures should result in avoiding any pitfalls and gaining the maximum benefits conferred by this program. Protect yourself from excessive fines and possible jail time. Let the tax attorneys of the Law Offices Of Jeffrey B. Kahn, P.C. located in Los Angeles, San Francisco, San Diego and elsewhere in California qualify you for OVDP. 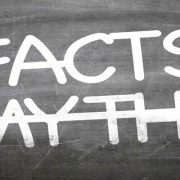 If you have never reported your foreign investments on your U.S. Tax Returns, the IRS has established the Offshore Voluntary Disclosure Program (OVDP) which allows taxpayers to come forward to avoid criminal prosecution and not have to bear the full amount of penalties normally imposed by IRS. When entering into OVDP, a taxpayer must file amended income tax returns reporting worldwide income and file all required informational tax forms. Many taxpayers who attempt to do this on their own and who have Foreign Mutual Funds or Foreign Insurance Policies are finding that their OVDP submissions are being rejected or examined because of some arcane tax laws and tax procedures associated with these investments that most laypeople are not aware. Do You Have Foreign Mutual Funds? U.S. taxpayers ought to be aware of the potential tax heartaches associated with investing in mutual funds held by foreign banks or foreign brokerage firms. When making such investments through U.S. firms, any appreciation or depreciation of value of the funds is not recognized as gain or loss until the fund is sold or liquidated. This is not the case with the same type of investments in foreign firms. Each year the U.S. investor must pick up as income or record a loss in the appreciation or depreciation of value of the funds even though there was no sale or liquidation of the funds. Essentially, such an investor loses the advantage of deferring gains which is enjoyed by those investors dealing with U.S. firms. Asset Test– 50% or more of the corporation’s total assets are passive assets; passive assets are investments that produce interest, dividends or capital gains. The IRS has extended the characterization of a PFIC to include most foreign-based mutual funds, hedge funds and other pooled investment vehicles. A. U.S. taxpayer with these investments is required to fill out Form 8621, Information Return by a Shareholder of a Passive Foreign Investment Company or Qualifying Electing Fund, and include it with his Form 1040 along with the appropriate PFIC income and tax computations. The IRS offers various complicated methods of reporting PFIC income. 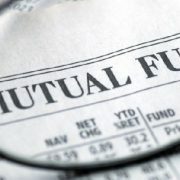 Under one such method, “Mark-to-Market”, the IRS requires the reporting of the value of a mutual fund from year to year and taxes any appreciation in the mutual fund values from year to year. The tax rate that applies is 20%. This is in addition to the normal taxation of dividends and capital gains that domestic mutual funds are taxed on. Reporting the appreciation of a mutual fund from year to year may end up being no small task as oftentimes a typical stock portfolio will contain twenty to thirty funds which may involve lots of trade activity over the course of many years. The taxpayer needs to keep accurate and comprehensive records of all information on the mutual fund(s) including share basis, yearly balances, and any sales or purchases from year to year. With such level of activity to record each year, no wonder how laypeople and even tax preparers cannot get these computations right leading to higher penalties and perhaps jeopardizing a taxpayer’s Voluntary Disclosure Submission. Do You Have A Foreign Insurance Policy? There is an excise tax under Internal Revenue Code Sec. 4371 imposed on insurance policies issued by foreign insurers. Any person who makes, signs, issues, or sells any of the documents and instruments subject to the tax, or for whose use or benefit they are made, signed, issued, or sold, is liable for the tax. The following tax rates apply to each dollar (or fraction thereof) of the premium paid. Casualty insurance and indemnity, fidelity, and surety bonds: 4 cents. For example, on a premium payment of $10.10, the tax is 44 cents. Life, sickness, and accident insurance, and annuity contracts: 1 cent. For example, on a premium payment of $10.10, the tax is 11 cents. Reinsurance policies covering any of the taxable contracts described in items (1) and (2): 1 cent. However, the tax doesn’t apply to casualty insurance premiums paid to foreign insurers for coverage of export goods in transit to foreign destinations. Premium means the agreed price or consideration for assuming and carrying the risk or obligation. It includes any additional charge or assessment payable under the contract, whether in one sum or installments. If premiums are refunded, claim the tax paid on those premiums as an overpayment against tax due on other premiums paid or file a claim for refund. The liability for this tax attaches when the premium payment is transferred to the foreign insurer or reinsurer (including transfers to any bank, trust fund, or similar recipient designated by the foreign insurer or reinsurer) or to any nonresident agent, solicitor, or broker. A person can pay the tax before the liability attaches if the person keeps records consistent with that practice. The person who pays the premium to the foreign insurer (or to any nonresident person such as a foreign broker) must pay the tax and file the return (Form 720, Quarterly Federal Excise Tax Return). The Form 720 covers the last calendar quarter and is due no later than the last day of the month succeeding the reporting quarter. For example, a Form 720 covering the quarter ended September 30, 2016 is due October 31, 2016. If you are required to file this Form, you will also need to secure a Taxpayer Identification Number (not your social security number) as these excise taxes are tracked separately by IRS just like employment taxes. The fact that a tax treaty with the foreign county exempts the taxation of these insurance policies does not waive the requirement for you to file the Form 720. Attach any disclosure statement to the first quarter Form 720 you would need to file. You may be able to use Form 8833, Treaty-Based Return Position Disclosure Under Section 6114 or 7701(b), as a disclosure statement. If you are a U.S, taxpayer with foreign mutual funds or foreign insurance policies, make sure your tax filings are compliant and complete by enlisting the assistance of counsel experienced in the reporting of these investments.